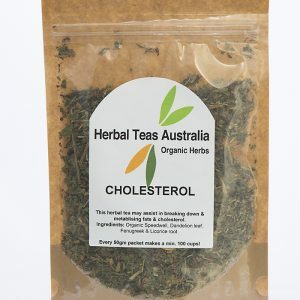 Herbal Teas Australia is an Australian owned and operated company that produces certified organic herbal teas that are designed and hand crafted to help people overcome their health issues and enjoy the healing benefits of herbal teas. 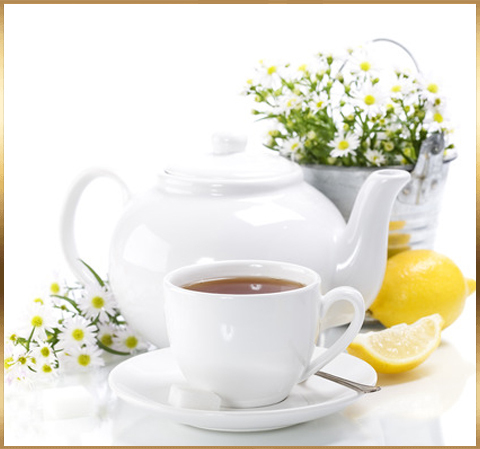 Welcome to Herbal Teas Australia Organic Herbal Teas. I hope you find a blend that is beneficial, enjoyable and makes a difference to your general health and wellbeing. The range of herbal blend teas I have created address various health issues and I formulated them so they taste good as well. It certainly makes it easier to drink when you enjoy the taste! If you're looking for a tea to address a particular health issue, check out the FAQs page. Or if you already know you love organic tea, check out the Shop for a great deal. 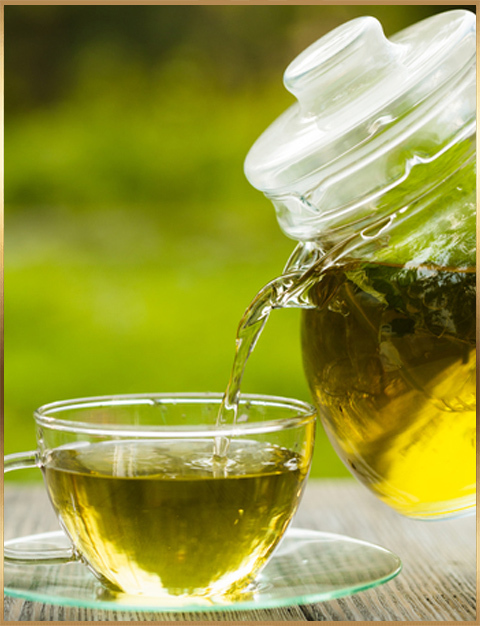 At Herbal Teas Australia Organic Herbal teas we recognise the huge benefits in health and wellbeing in drinking herbal teas. Even celebrities are trending herbal teas! That's why the tea blends have been formulated to help with a range of health issues, whether it's your skin, eyes, help to fight disease, provide calm & restful sleep, lose weight – a whole range of health issues. Perhaps you are struggling with a health issue that is causing distress in your life. It could be coping with bloating, heartburn, anxiety, weight gain, dealing with menopause symptoms or prostate disorders, depression or chronic fatigue. Maybe your cholesterol or blood pressure reading is a little higher than ideal and you want to try diet and lifestyle before taking pharmaceutical drugs. For some people their health goal is to overcome an illness, or achieve better energy levels to cope with a busy lifestyle. Or their health goal is to incorporate herbal teas with a healthier way to eat. 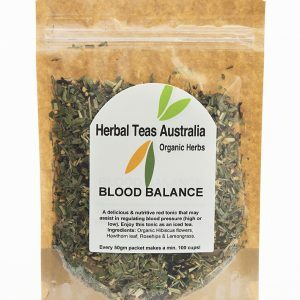 Herbal Teas Australia organic herbal teas is the fruition of my many years experience in the health and wellness industry plus many hours of research and study of herbs. Many of you know me from the countless markets I have attended around Victoria selling herbal teas. Some of you have been my customers since I owned health food businesses a decade ago! One thing that I know has not changed is that people want to improve their health and want simple, easy to use and effective ways to do this. 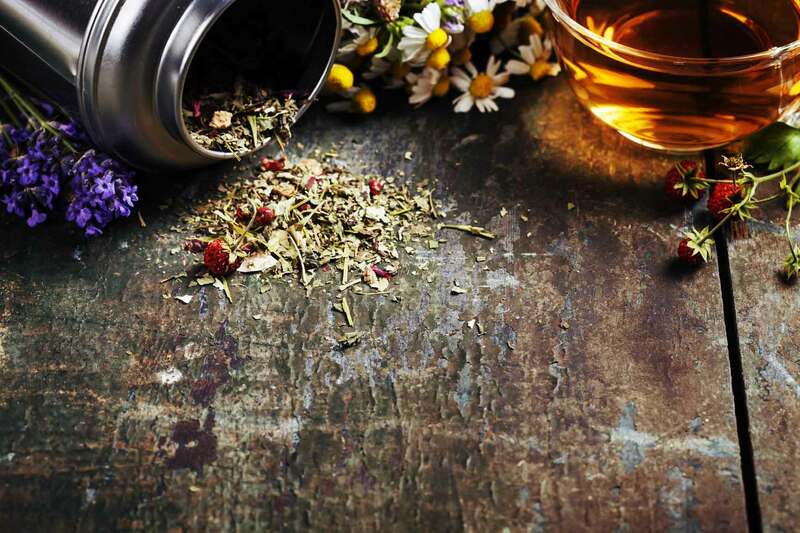 While we have available today some of the most sophisticated drugs and modern medical miracles, I do believe it is a very primal instinct for us to recognize that herbal remedies and medicinal herbal teas can provide a natural and healthy healing. And regardless of what is happening in the medical world, we are very much interdependent on plants for food and medicines. 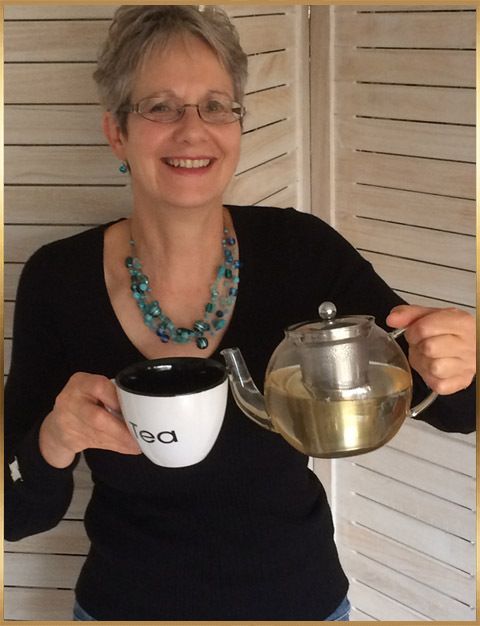 It was a few years ago now that I decided to develop my passion for herbs and create of a range of therapeutic herbal teas, Herbal Teas Australia organic herbal teas. 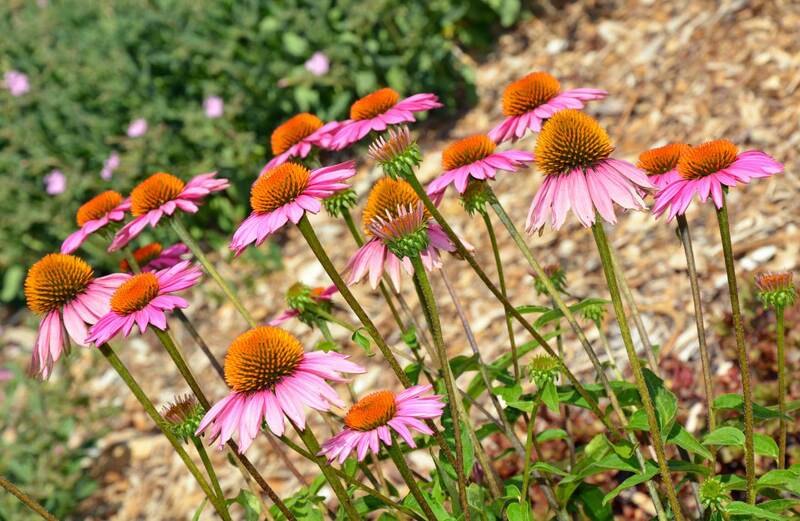 I recognized that there was a surge in the popularity of herbal remedies and that they were synonymous with natural and healthy. 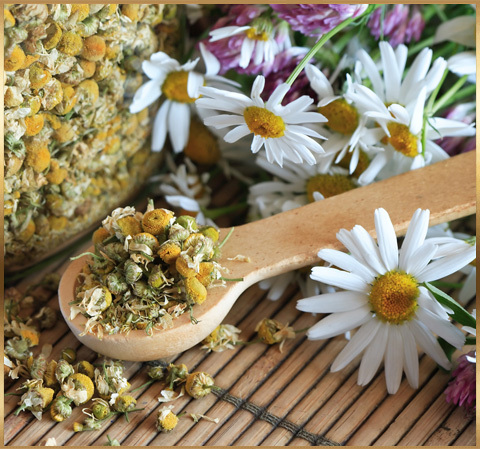 Today, I am truly inspired by the many testimonials I receive from customers about these natural herbal remedies in the form of a herbal tea and how it has benefited them and produced the result they wanted to achieve. The power of herbs is physical and emotional, whether it is reducing your cholesterol, calming your children, alleviating tension from a stressful situation, supporting you through a pregnancy, being on hand when sleeplessness is an issue, settling an upset tummy or just for the sheer enjoyment. 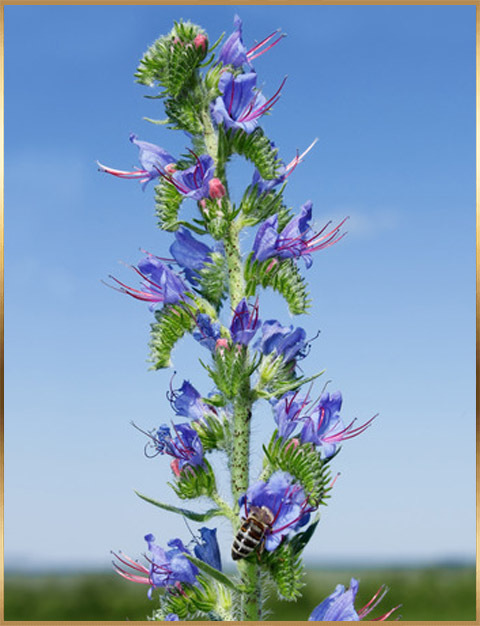 During my career, I have been influenced by a number of herbalists and naturopaths. 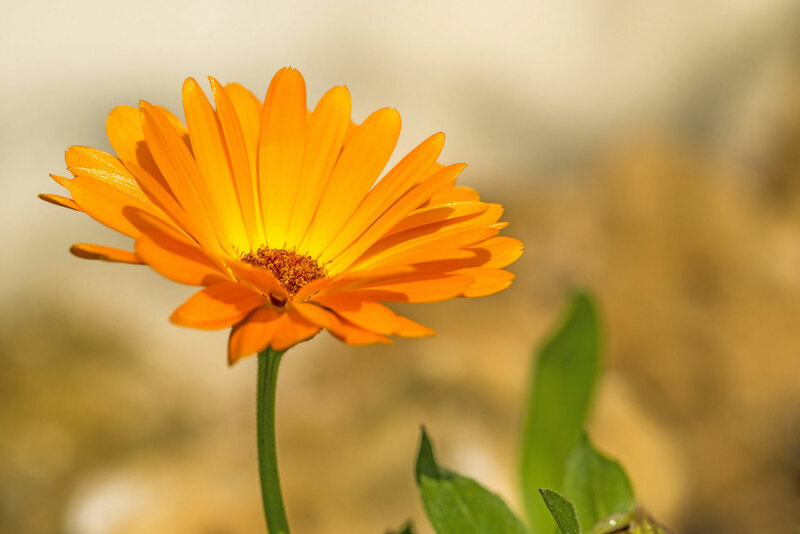 In particular, two very inspirational women, Hilde Hemmes, who runs the Australian School of Herbal Medicine in South Australia and Maria Treben, who died in 1991, and is considered to be the pioneer of the renewed interest in natural remedies in the 20th century. Also, I cannot help being motivated by the writings of John Lust, author of the most complete catalogue of herbs ever published and his father, Dr Benedict Lust, considered the father of naturopathy. I am always researching to keep abreast of what is happening in the health industry and share information through my website and my Facebook , newsletters and blog that may be helpful to you, your family and friends. But more than anything, I enjoy talking to people about the many uses of herbs. Advising people how to cook with herbs rather than simply making a tea gave birth to the “Soup-Herb” range to encourage people to be adventurous with different herbs. I ‘m sure there is a blend or two in my range that you find helpful. My FAQ can help with relevant ailments and the recommended herbal tea. "Many thanks for shipping my herbal tea order so promptly and for the free gift you sent along with it. The teas arrived on Friday morning so that I was able to start my herbal treatment straight away. Over the weekend, I began to improve and am now feeling quite well although I still have some of the anti-biotic treatment to go. I dislike taking anti-biotics but I felt backed into a wall on this occasion. I will soon make every effort to get my good bacteria restored as soon as possible. I feel your teas will now play a big part in my recovery. I am so glad I found you. "It's been a Godsend this tea,(SLEEP tea). I have also been drinking the DETOX tea which has helped keep my system feeling more fresh since I have been getting more used to Ceoeliac life. 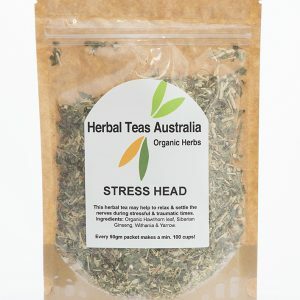 Also the STRESS HEAD tea has kept me feeling relaxed when times get a little daunting chasing after Harry. I have put a few friends onto the teas and think they will be in touch, especially a few mums who are having their own sleep issues after the little ones sleep patterns went chaotic....We both feel a lot more healthier since getting better sleep, it (the tea) has worked better than the melatonin my neurologist gave me to re-balance my own sleep pattern. I might also get some of the SPORT AND RECOVERY tea as I find I can be a little cramped and sore from training. Thanks again, I am super rapt with the tea!" When I am having a bad day of fatigue at work ( I suffer from glandular fever and auto immune dysfunction), I make a pot of FATIGUE tea and within about half an hour, I am feeling so much better and able to continue at work. Before drinking the FATIGUE tea, this wasn't possible and I would have to leave work and go home to bed. Absolutely swear by these teas! It has done so much for me I will definitely be ordering some more soon! Can't wait to try some other varieties to!! I absolutely love these teas. Even tried the inflammation soup mix recently. I have my pot of tea every night in bed. The problem is choosing which one to have! They are all amazing. And i own way too many haha. Thanks for supplying Gippsland with your amazing teas and more. Hi Liz, I bought a couple of herb mixes off you and I wanted to say a massive thank you! My tummy is the happiest it's been in years - I have suffered from chronic gastritis from an infant and coeliacs disease - I feel more alive and healthy and I really appreciate and support you! I will definitely be a regular. I regularly use the WINTER BLEND and COUGH tea year round. If I am feeling a little sluggish I make up a small pot and when I've finished drinking it I feel energised. So glad I came across you at a market. I absolutely love these teas. Even tried the inflammation SOUP-HERB mix recently. I have my pot of tea every night in bed. The problem is choosing which one to have! They are all amazing. And i own way too many haha. Thanks for supplying Gippsland with your amazing teas and more. I was doing a lot of driving and often had irritable legs. 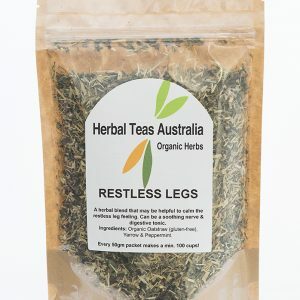 I’ve been drinking the RESTLESS LEGS tea for 18 months now and I just don’t get restless legs anymore. I drink it once a day after work but more sometimes because I like it. I highly recommend it. 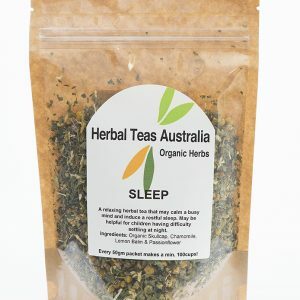 Love, love, love my SLEEP tea. It’s so delicious I wish I could drink it all day long. Can’t wait to try some other blends. Your teas are amazing! I can’t wait for you to be at St Andrews market again. My friend have me a packet of IMMUNE tea whilst I was in hospital after a double mastectomy. I love it but have finished it. I would also like to try the SERENITY, it seems to be a favourite. 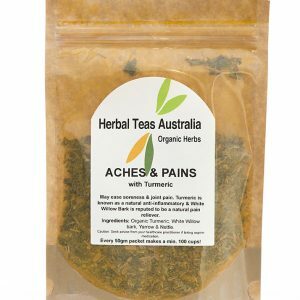 I pulled my hamstring playing footy & literally guzzled the Herbal Teas Australia SPORTS & RECOVERY tea to help with my recovery. When I did return to footy, quicker than I have before when I have had the same injury, my leg was really good – must have been the tea –and we won by 6 points. Thank you for your prompt delivery of my tea. Just a report on the tea. My cholesterol had risen to 7.2 and after drinking the tea for 5 weeks, it dropped to 6.2. My doctor was very pleased, as was I. I will continue with it. My friend purchased the COUGH tea and cant believe what a difference this has made. Her hayfever symptoms and her cough seem to have diminished. She is feeling much better drinking the tea each day. Can I order another 3 packets, please. 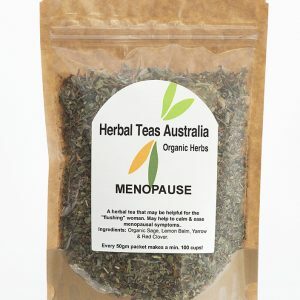 A friend of mine has bought your herb tea for Menopause and she is swearing that the tea actually helped her with her menopause symptoms – hot flushes. 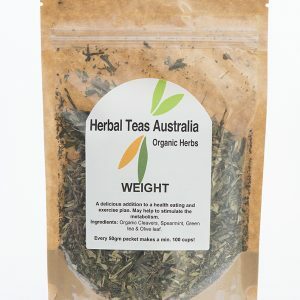 I would highly recommend Herbal Teas Australia organic herbal teas to anyone who’s looking for teas that taste “realgood.” I am really enjoying the organic spearmint & licorice root tea – it’s delicious. I can’t believe how many times I can top up the teapot and still enjoy the beautiful flavor. I started drinking the PREGNANCY tea at about 6 months into my second pregnancy. I had been feeling really nauseous and with a toddler and working part-time, it was really difficult. However, the PREGNANCY tea helped to settle the nausea and I enjoyed the lemony taste of the Lemon Myrtle. I wish I had had this tea earlier. 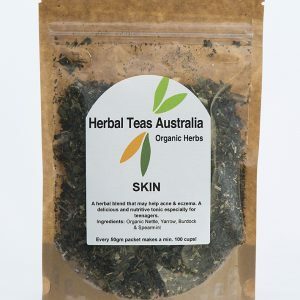 I bought the SKIN & TUMMY teas to help with acne & tummy bloating. I had a massive clear up of my skin drinking the SKIN tea and the TUMMY tea stopped my constant bloating. I have not found a combination of herbs that helped as much as they did. I had a stomach upset and felt nauseous for several days. A cup of TUMMY tea stopped the nausea. I drink it now because I like the taste. 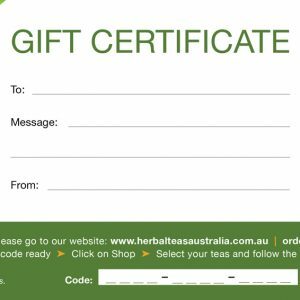 Buy 5 Packets of Herbal teas and Receive FREE postage PLUS FREE Bonus Packet of Soup-Herbs And monthly Deals and health updates. on your next purchase and make sure you don't miss out on the regular monthly deals and health updates.